Who does not want to keep his most beautiful day of his life in his memory? Wedding photography means saving every magical moment somewhere safe, where it is possible to revive and return to it anytime. Your story will get packed in the form of wedding book and digital media, which will allow you to easily revive your sweet memories. Below you can read what wedding photography offers and what are frequently asked questions and their answers. I am looking forward to your e-mail or call. Wedding Photography requires only the best. At the same time, I am using two digital SLR full-frame cameras combined with prime lenses, only those bring maximum optical performance, enabling the best possible results, even in very low light conditions. Simple! Just leave a message here to tell for which day would you need me and what are your expectations. We will send you an offer and if you are interested we can make an arrangement for a meeting where the things will be presented better. Together we will go through all the details of your day. If you give me the honor to present your day from my view, you get a contract to sign after the deposit is paid. After that, you can expect me on your best recorded day of your life. Don’t worry. My approach to wedding photography is very natural and I will help you with some hints to look like professional models. More than half of the couples I shoot the wedding of said to me that they are not photogenic and feel very bad in front of the camera. If you are still not sure you can ask me for engagement shooting and we will meet somewhere in nature or city and take a walk for an hour or two. You will get a chance to test me and acquire an unforgettable experience and set of beautiful photos. How far are you willing to come to photograph the wedding? To the end of the world. Adventurers like me are always happy to pack their bags and go to new adventures. Wedding photography in unfamiliar surroundings boosts the passion for photography and options to bring awesome results. What if you get seriously ill? We are ready for even those very unlucky but plausible events. Wedding photography requires cooperation with other wedding photographers. In case of such unfortunate situations, we approach another wedding photographer in the same rank of quality. What if the pictures are deleted? Wedding photography requires the best quality! Quality memory cards are more than 99% reliable, but because 99% is not 100% and because wedding happens only once in a lifetime, professional cameras have space for two memory cards. Therefore at the moment when the wedding photo is taken, it is stored in two media. After the wedding, all photos get transferred to the computer, portable disc and also on the server where they are protected even from bigger disasters like fires, tornados, earthquakes or alien attacks. The fear from the erased wedding photos is unnecessary. What if camera stops working? During the wedding ceremony, I walk around with two equal full frame cameras with which I mark the wedding story with two different lenses. In case something happens with that very reliable camera, the other one is already prepared for shooting. But because wedding photography means the need for 100 % reliability, the third camera is hidden somewhere deep in the bag. Majority of weddings I photograph alone. I never insist for the second wedding photographer, all the stories that are presented on the blog are captured only from my perspective. The only thing I miss is teleportation. I can’t shoot the bride’s and the groom’s preparation at the same time. Sometimes we can sort that out with good organization, if not I can get another photographer. Do we need a second wedding photographer? Depends on your wishes. It helps a lot in situations mentioned above. Also having a second wedding photographer also means – while one photographer is doing group photos, the other photographer could be taking detail photos of your tables once setup. Having the second photographer eases the pressure and makes my job easier – especially at very long weddings. I have a second photographer option available on the price list. Do you receive all your photos? No. Wedding photography requires photographing from new angles and perspective. Therefore more than 5,000 photos are made during the day. In postproduction, this photos are carefully selected and only the best are post-processed to make you shine! How many pictures will you deliver and how long do we have to wait for it? The number of processed pictures delivered is about 500, but this number is growing every year. The final number also depends on how much things are going on on your wedding.Photos are typically delivered in three to five weeks after the wedding, but the photo book takes from two to three months. If the wedding is at the beginning of the season, these deadlines are shorter than at the end of the season. Where do we get wedding photos? All the post-processed wedding photos are received on a wooden USB stick in a wooden box. Each photo is also in the PHOTOBOOK with covers made from natural materials. Photos are also available online, where they will be password protected and available to all your wedding guests and friends, with whom you want to share the photos on the website. What means to the photographer a wedding photography? Wedding photography is our honor and passion! A wedding day is a day a bride has dreamed about as a young girl, a day a groom never dares to admit out loud of dreaming, and the day parents of both were quietly hoping it will once come – but not too quickly. For me, wedding photography is a given opportunity to introduce my unique approach to the wedding so that my wedding photography will continue the memory after the wedding is over and it will be recognizable to also those who haven’t been there. 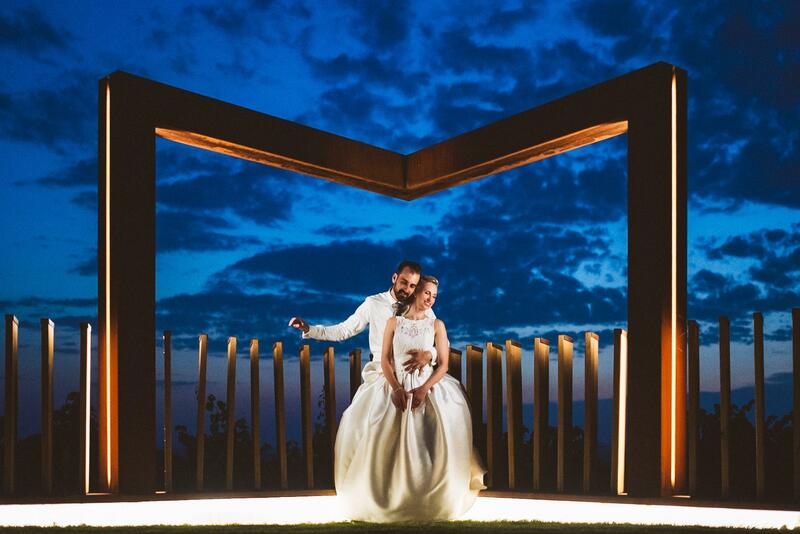 Wedding photography is also a big passion: practicing new ideas, a desire of reaching new milestones in matching emotions and joy that is unlikely to recur because only one day is the wedding day.